New Directions Publishing Corporation, 9780811217026, 224pp. 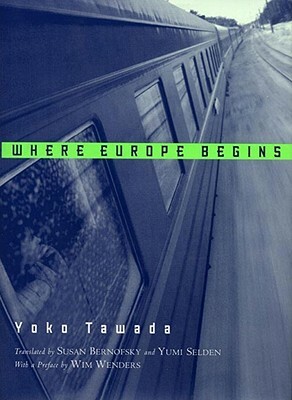 Where Europe Begins presents a collection of startling new stories by Japanese writer Yoko Tawada. Moving through landscapes of fairy tales, family history, strange words and letters, dreams, and every-day reality, Tawada's work blurs divisions between fact and fiction, prose and poetry. Often set in physical spaces as disparate as Japan, Siberia, Russia, and Germany, these tales describe a fragmented world where even a city or the human body can become a sort of text. Suddenly, the reader becomes as much a foreigner as the author and the figures that fill this book: the ghost of a burned woman, a woman traveling on the Trans-Siberian railroad, a mechanical doll, a tongue, a monk who leaps into his own reflection. Tawada playfully makes the experience of estrangement--of a being in-between--both sensual and bewildering, and as a result practically invents a new way of seeing things while telling a fine story.